Salicylic acid is an ingredient that's commonly used in many over-the-counter acne products and treatment procedures. Salicylic acid works as an exfoliant, helping your skin to shed dead skin cells more effectively. A close cousin to the more familiar alpha hydroxy acid, salicylic acid is beta hydroxy acid. Besides being used to treat acne, salicylic acid is also used to treat warts, psoraisis, and reduce signs of aging. Salicylic acid is a keratolytic, meaning it dissolves the bonds that hold dea skin cells together and helps them to shed away more effectively. It's naturally occurring in white willow bark and wintergreen, but most of the salicylic acid used today is synthesized. Salicylic acid is especially helpful in treating acne because of its ability to penetrate the follicle. It encourages the shedding of dead skin cells from within the follicle, helping keep the pores clear. And keeping the pores clear is the first step in getting all types of blemishes under control. It works best against non-inflamed breakouts, and blackheads. Salicylic acid has other benefits, too. It helps to decrease oil and inflammation. On its own, salicylic acid isn't the most effective acne treatment out there. But its claim to fame lies in its ability to help other acne-fighting ingredients penetrate the skin better. You can get salicylic acid in many over-the-counter acne treatments, from cleansers to toners, medicated pads, and creams. Over-the-counter salicylic acid products are found in strengths ranging from .5% to 2%. OTC salicylic acid works best for mild pimples and comedonal acne. It won't have much effect on more severe types of acne; for that, you'll need a prescription treatment. Salicylic acid is also used as a chemical peel agent. Salicylic acid peels are stronger than OTC products, in strengths of 20% up to 30%. These superficial chemical peels exfoliate more deeply than over-the-counter salicylic acid products, so they can help treat moderate acne and, in certain cases, severe acne. They're typically safe for all skin types, even medium to dark complexions because salicylic acid peels won't cause hyperpigmentation. You cannot do these types of peels yourself at home. You can only get them at your dermatologist's office, medical spa, and day spas. To get the best results, you'll need more than one peel. Salicylic acid peels generally aren't used as the sole acne treatment. They're most often used along with another acne medication. Your dermatologist can help decide if these peels are the best course of treatment for your acne. Most side effects are just a nuisance, and can usually be kept under control by using an oil-free moisturizer every day. Your more likely to experience more significant side effects if you're using salicylic acid in conjunction with other acne treatment products, like topical retinoids or benzoyl peroxide. As always, you should talk with your doctor if you're having side effects that are particularly bothersome. And if you're using a prescription acne medication, always ask your dermatologist first before adding a salicylic acid product to your daily routine. 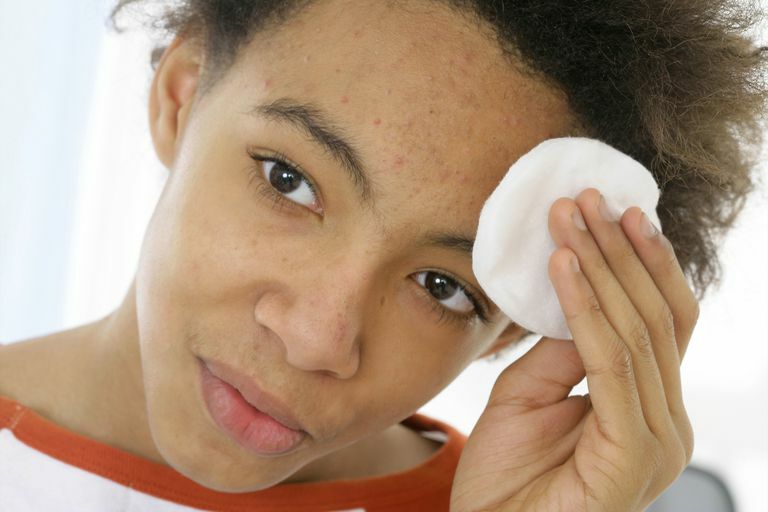 Over-the-counter salicylic acid acne products work best if you have minor blackheads, rough bumpy skin, or mild pimples. OTC salicylic acid won't work on more serious, inflamed acne breakouts. Professional salicylic acid peels may be a good add-on treatment, but their typically not used as the sole treatment for acne. Not sure if salicylic acid is the right acne treatment for you? Your dermatologist is a great resource, so don't be shy in asking for advice. Arif T. "Salicylic acid as a peeling agent: a comprehensive review." Clinical Cosmetic and Investigational Dermatology. 2015 Aug; 8:455-61. Arif T. "Salicylic Acid as a Peeling Agent: A Comprehensive Review." Clinical Cosmetic and Investigational Dermatology. 2015 Aug 26;8:455-61. Castillo DE, Keri JE. "Chemical Peels in the Treatment of Acne: Patient Selection and Perspectives." Clinical Cosmetic and Investigational Dermatology. 2018; 11: 365–372.